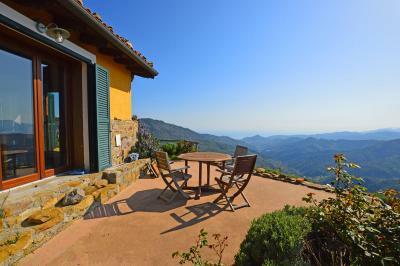 Seborga semi-detached Villa for Sale with panoramic view. 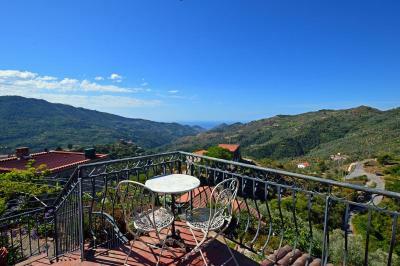 At 15 minute drive from the sea, and only 5 minutes drive from the motorway of Bordighera, semi-detached Villa for Sale in Seborga, set over two floors with private garden and sea view. The semi detached Villa for Sale in Seborga enjoys an independent entrance and consists of: living room, open kitchen, bathroom on the ground floor facing on the beautiful landscaped garden and huge terrace; 2 double bedrooms, bathroom, panoramic covered terrace and beautiful garden at the first floor. 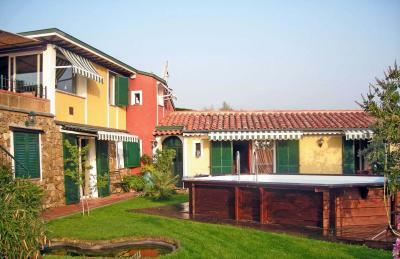 The property was recently built and very well maintained and its peacefull position guarantee a wonderful view overlooking the valley up to the blue mediterranean sea.